The Labor Day Holiday Weekend is on the horizon this weekend and millions of Americans will be celebrating the 128th anniversary of this holiday honoring the nation’s work force. 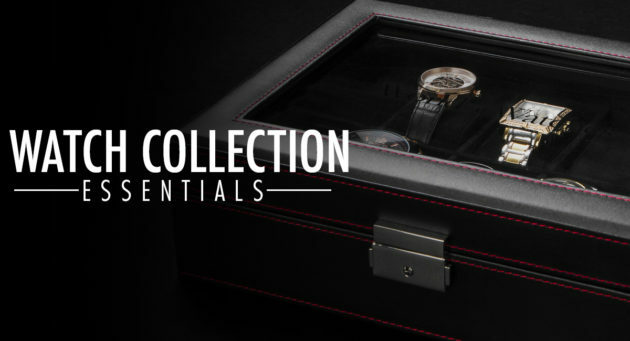 In honor of the holiday, our Watch Collection Essentials this week focuses on executive style watches suitable for CEO’s, executives and managers. 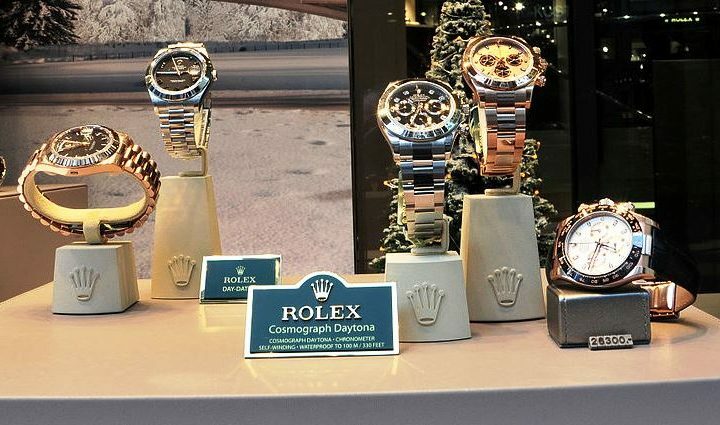 For generations Rolex wristwatches have been the quintessential symbol of, status, success and prestige. 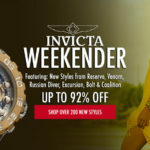 The brand’s timepieces have been worn on the wrists of presidents, heads of state, royalty and dignitaries as well as chief executive officers. 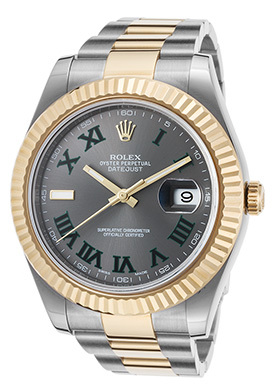 The Rolex Datejust watch has been a time-honored selection for executives throughout the globe since its debut in 1956. 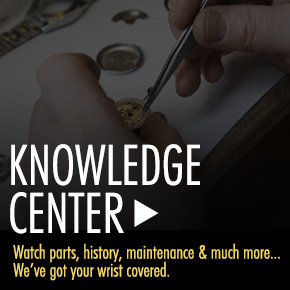 US Presidents Eisenhower, Johnson and Reagan all wore Rolex Datejust wristwatches during their time in office. The watch was also worn by President Nicolas Sarkozy of France and Prince Harry of England. This signature fluted bezel in polished 18K yellow gold surrounds the dark gray metallic dial with luminous gold-tone hands and black raised Roman numeral hour markers. A magnified window at the 3 o’clock hour reveals the automatic date calendar. Features include a scratch resistant sapphire crystal above the dial and water-resistance to 30 meters or 100 feet. Rolex Oyster Perpetual Datejust Automatic men’s watch is 41mm in diameter, 12mm thick and has been awarded official Chronometer certification by the esteemed COSC (Official Swiss Chronometer Test Institute). The IWC Watch brand has a cult-like following with top-ranking executives from New York City and Beijing to London and Zurich. This highly regarded and renowned Swiss watchmaker is noted for its precision-crafted automatic and mechanical timepieces made expressly for men. US Presidents Barack Obama and Bill Clinton have IWC Watches in their collections, as does film legends Clint Eastwood, Kevin Spacey and Tom Hanks. Urbane and debonair, the IWC Da Vinci automatic men’s watch makes an impressive statement in premium grade stainless steel and leather. The handsome Tonneau shaped case in premium grade stainless steel is highly polished to a lustrous patina. The handsome crocodile-textured black leathers strap adds to the classic design. The stationary fully integrated polished steel bezel frames the patterned black dial with polished silver tone sword hands, silver tone Arabic numeral half-hour markers and baton hour markers. A window at the 3 o’clock hour reveals the automatic date calendar. 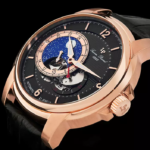 Features include a scratch resistant sapphire crystal above the dial, water-resistance to 30 meters or 100 feet and self-winding automatic movement inside. 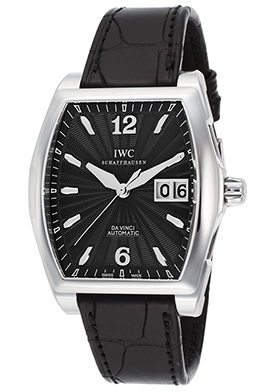 IWC Da Vinci automatic men’s watch is 36mm wide and 11mm thick. Breitling watches have long been associated with pilots and aviators dating back to the brand’s aviation origins during the first half of the 20th Century. 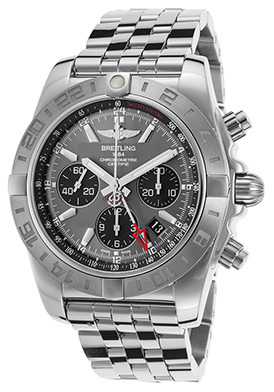 Breitling is also the top choice of executives, TV and film celebrities. Actors John Travolta, Jerry Seinfeld, Leonardo DiCaprio and Dwayne Johnson are all fans of Breitling watches. The Breitling Chronomat 44 Automatic GMT Chronograph is an absolute stand-out for today’s man of the world. Masculine and sporty, this virile men’s watch features the contoured round case in premium grade stainless steel, highly polished to a mirror-bright finish. The matching multi-link bracelet is polished stainless steel completes the look. The bidirectional rotating stainless steel bezel with engraved markers surrounds the attractive gray dial with three sub-dials, a red GMT hand, luminous hands and hour markers. 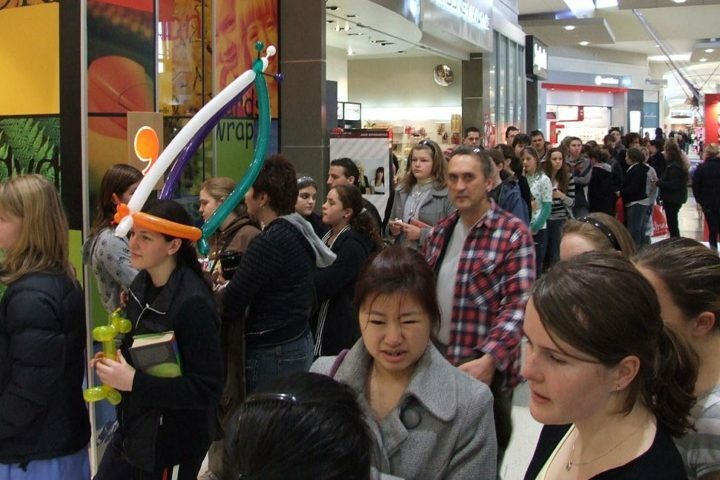 Features include an automatic date calendar, small-second, 30-minute and 12-hour registers. Additional features include a scratch resistant sapphire crystal above the dial, a 70-hour automatic power reserve, along with a locking screw-down crown and case back for water-resistance to 200 meters 660 feet. Breitling Chronomat 44 Automatic GMT Chronograph is 44mm in diameter, 17mm thick and has been awarded official Chronometer certification from the COSC. (Official Swiss Chronometer Test Institute). You do not have to look any further than the Raymond Weil Maestro Automatic Chronograph to display your managerial style. This prestigious Swiss-made watch is designed for the discerning man with a perfectly round case in polished, premium grade stainless steel. The handsome brown alligator-textured leather strap adds to the stylish design. The raised perfectly round stationary bezel in polished stainless steel encircles the multi-layered gray dial with three sub-dials, polished silver-tone pie-cutter hands and silver-tone Roman numeral hour markers. An exhibition skeleton case back lets you see the intricate Swiss-made automatic movement inside. Features include an automatic date calendar at the 3 o’clock hour, small-second, 30-minute and 12-hour registers. Additional features include a scratch resistant sapphire crystal above the dial and water-resistance to 50 meters or 165 feet. 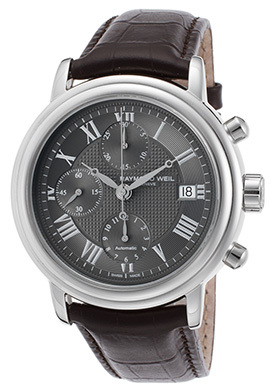 Raymond Weil Maestro automatic men’s chronograph is 41mm in diameter and 13mm thick. Thank you for contacting us Glenn, A member of our customer service will be in touch with you.